We specialize in helping people make sense of complicated mortgage jargon and red-tape by providing dependable advice, which is reinforced by our years of expertise, and communicated using the most up-to-date technology tools. Yes, “there’s an app for that!” Truly, we love talking shop, and if you’re into technology, you’re really going to appreciate our approach. That said, if you’d like to come visit with us face-to-face, or don’t have a smartphone, we can still take care of you the good-old-fashioned way too. You’re welcome to drop into our local offices and say hello! OUR PAST CLIENTS TRUST US! We believe that we need to EARN your business. The way that we accomplish that goal is to prove ourselves every day in the work we do for you.  We operate differently than most other lenders in this business. We don’t like to spin our wheels spending time or money “marketing” like they do. Odds are you won’t find our photos on any billboards or bus benches somewhere. You probably won’t see us out door-knocking, or hear us cold calling. Why? Because we think that our time and efforts are better spent with our noses to the grindstone, and being focused on service to our client’s questions and needs. The result? We are available for you when you need us--which makes you happy, and makes you want to refer us to your friends and family. Imagine that! We are able to provide a consistently high level of service, and our past clients constantly refer us, because we’ve EARNED it.